22 - Dinosaurs With Big Brains And Bad Ideas by What The If? WE DELAY THE ASTEROID that killed the dinosaurs by five minutes, and thus... the giant lizard dudes and dudettes continued to breed, and evolve. And then they got big ideas in their head. Well, they got big brains at least. And BAD ideas. 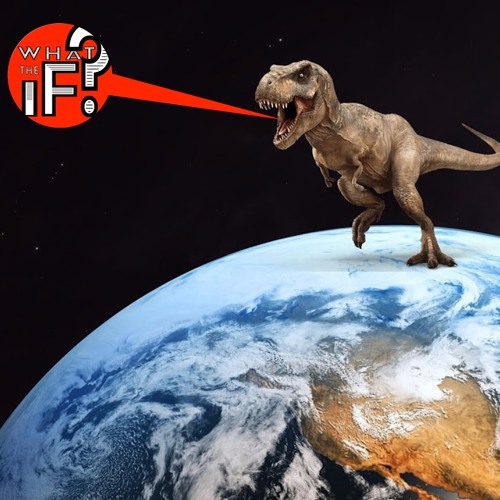 THE DINOSAURS START THINKING, like humans. What's a human? Those little creatures who won't evolve now, because Tyrannosaurus RICK is in charge of the Earth, buddy! DO NOT WEEP FOR THEIR TINY HANDS, these guys and gals evolve opposable thumbs, and they start to use tools and we wonder.... what kind of skyscraper would a dinosaur would build? Because they definitely would do that, because they think like people. What The IF?? ?